Saccharin, also called ortho-sulfobenzoic acid imide, is an organic compound made use of as a non-nutritive sweetening agent. It occurs as insoluble saccharin in different forms of salts, primarily sodium and calcium. Saccharin is about 200 to 700 times sweeter than granulated sugar and has a slightly bitter and metallic aftertaste. In 1879, it was discovered by chemists Ira Remsen and Constantin Fahlberg while they were investigating the oxidation of o-toluenesulfonamide. It then became the first commercially-available artificial sweetener. It is a white crystalline powder that has no caloric value and does not promote tooth decay. 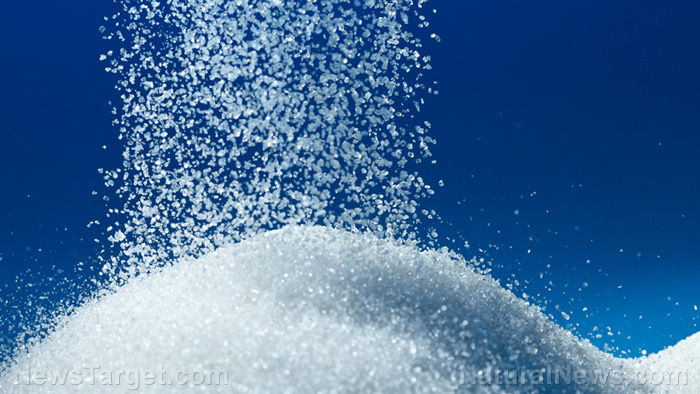 Saccharin is not metabolized by the body and is excreted unchanged. It is used in the diets of diabetics to avoid sugar intake. It is also used in diet soft drinks and other low-calorie foods. Moreover, it is used in products such as fruit juices, chewing gum, mouthwash, toothpaste, and pharmaceuticals. It is sold under brand names such as Sweet ‘N Low, Sweet Twin, and Necta Sweet. Although the Food and Drug Administration (FDA) claimed that saccharin is safe, some still argue that it causes harm to its consumers. For centuries, saccharin has been used to sweeten foods and beverages without calories or carbohydrates. It was also used on a large scale during the two world wars, but was abandoned as soon as it was linked with the development of bladder cancer. It was based on a study on rats in which sodium saccharin produced urothelial bladder tumors by a non-DNA reactive mechanism that involves in the formation of a urinary calcium phosphat. However, the artificial sweetener is not classified as carcinogenic to humans. Although most health authorities consider saccharin to be safe for human consumption, it still has some potential negative effects on human health. A recent study found that using saccharin, sucralose, and aspartame may disrupt the balance of bacteria in the gut. There is also convincing evidence that changes in gut bacteria are associated with an increased risk of diseases such as obesity, type-2 diabetes, inflammatory bowel disease, and cancer. In a study, mice were fed a daily dose of aspartame, sucralose, or saccharin. After 11 weeks, they showed unusually high blood sugar levels which indicated glucose intolerance and therefore a higher risk of metabolic disease. Yet, once the mice were treated with antibiotics that destroyed the gut bacteria, blood glucose levels returned back to normal. The same experiment was conducted in a group of healthy people who consumed the maximum recommended dose of saccharin daily for five days. Results showed that four out of seven participants had abnormally high blood sugar levels. In addition, there were changes in their gut bacteria. On the other hand, the others did not experience any gut bacteria changes. Scientists suggest that artificial sweeteners such as saccharin may increase the growth of a type of bacteria that is better at turning food into energy. This may result to an increase in calories from food which in turn, increases the risk of obesity. Scientific animal studies found links between artificial sweeteners and cancer. In the early 1970, saccharin was thought to be a carcinogen when it was linked to bladder cancer based on studies done on rats. However, the National Cancer Institute noted that there is no such link between saccharin and cancer in humans that caused bladder cancer in rats. The Center for Science in the Public Interest (CSPI) still believed that saccharin is unsafe and should be avoided. Although its cancer-causing effects have not yet been proven, the few studies about saccharin indicated that it may still present a risk on humans. Saccharin is one of the oldest artificial sweeteners sold in the market. It has been linked to cause bladder cancer and changes in gut bacteria.